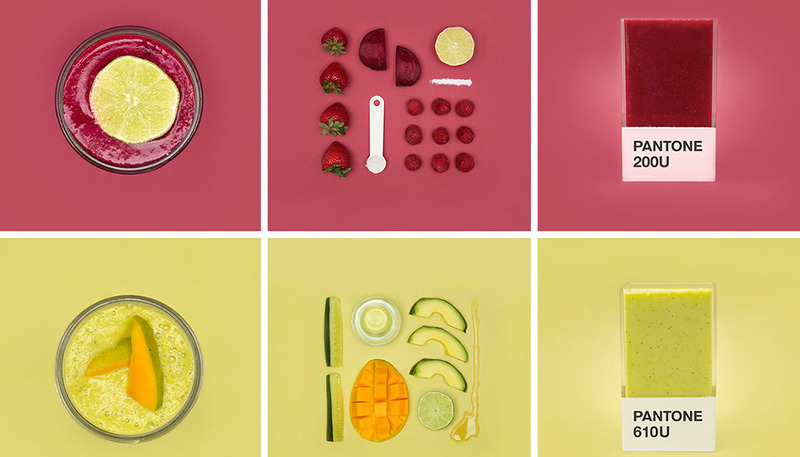 Art director Hedvig A Kushner created “Pantone Smoothies” project, in which he matches fruit and vegetable mixtures to a PMS color swatch. 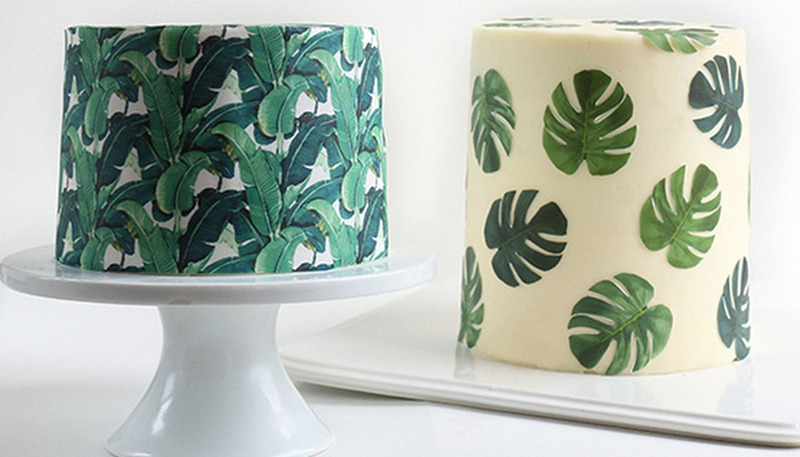 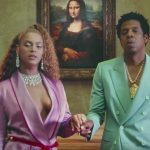 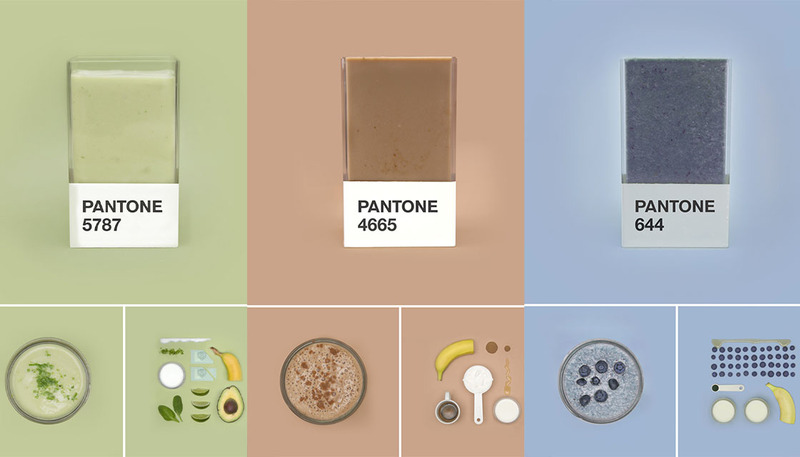 ‘I buy coloured paper from a local art store, match it to a Pantone swatch, and make the smoothie to match whatever colour the swatch is. 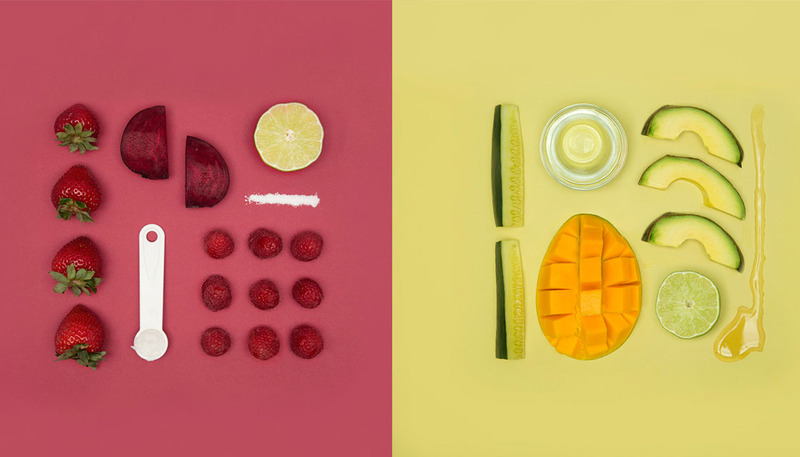 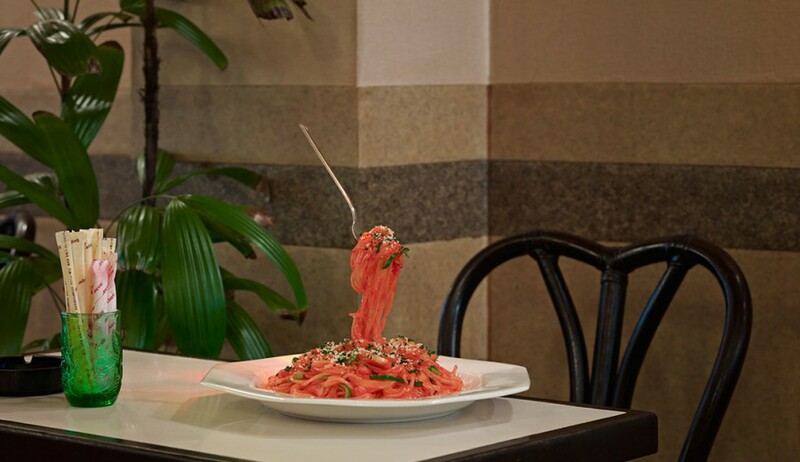 Carefully adding fruit and vegetable-based ingredients to the mix. 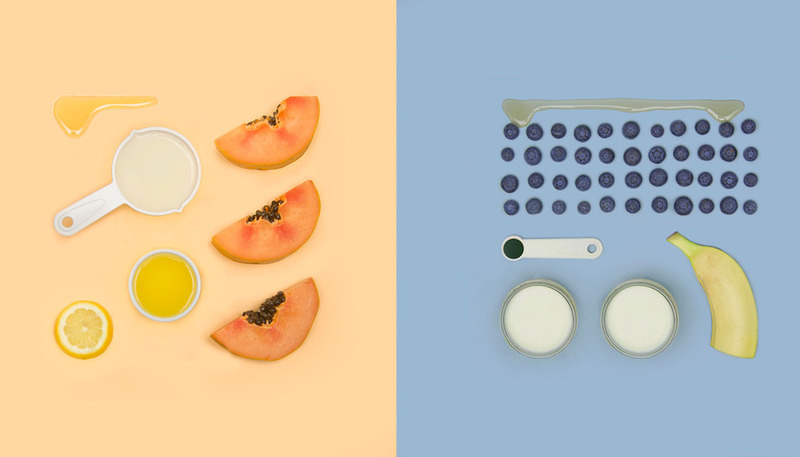 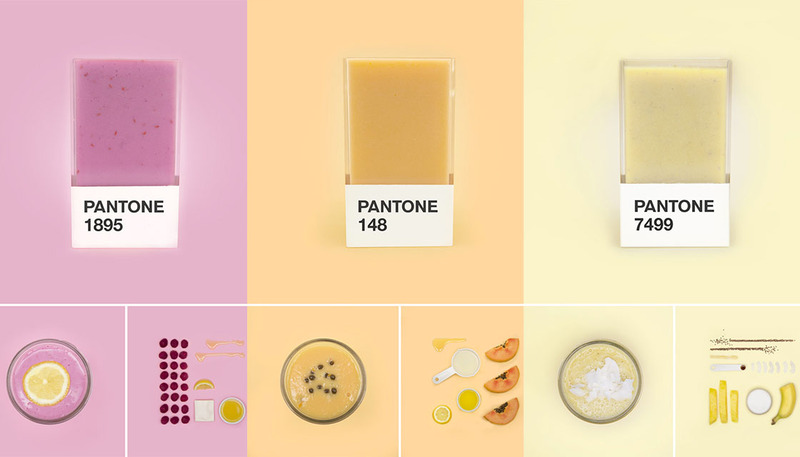 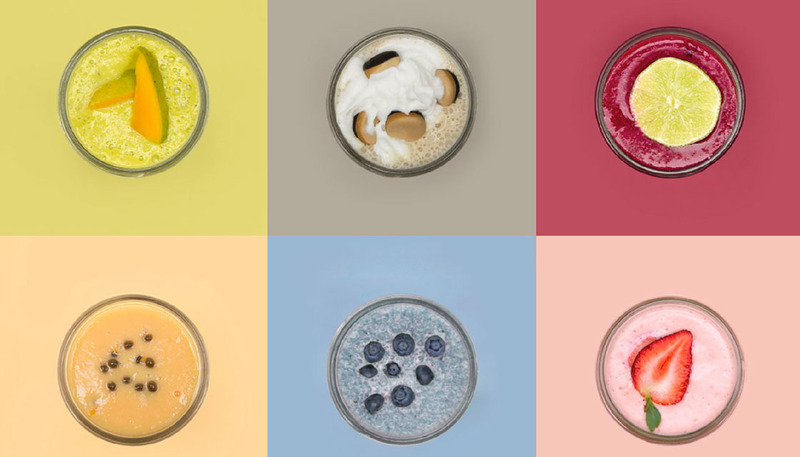 Three photographs complete the series, forming a colourful and convenient guide — one of the additives, meticulously arranged; another of the glassed juice blend; and the final shot of each packaged ‘pantone smoothie’.